A previously unknown link between the immune system and the death of motor neurons in amyotrophic lateral sclerosis (ALS), also known as Lou Gehrig's disease, has been discovered by scientists at the CHUM Research Centre and the University of Montreal. The finding paves the way to a whole new approach for finding a drug that can cure, or at least slow the progression, of such neurodegenerative diseases as ALS, Alzheimer's, Parkinson's, and Huntington's diseases. The study, published online on June 10, 2015 in Nature Communications, shows that the immune system in the animal model C. elegans, a tiny 1 mm-long roundworm, plays a critical role in the development of this animal model ALS. “An imbalance of the immune system can contribute to the destruction of motor neurons and trigger the disease,” said Dr. Alex Parker, CRCHUM researcher and Associate Professor in the Department of Neuroscience at the University of Montreal. The article is titled “Neurodegeneration in C. elegans Models of ALS Requires TIR-1/Sarm1 Immune Pathway Activation in Neurons.” ALS is a neuromuscular disease that attacks neurons and the spinal cord. Those affected gradually become paralyzed and typically die within five years of the onset of symptoms. No effective remedy currently exists for this devastating affliction. Riluzole, the only approved medication, only extends the patient's life by a few months. More than a dozen genes are related to ALS. If a mutation occurs in one of them, the person develops the disease. Scientists introduced a mutated human ALS gene (TDP-43 or FUS) into C. elegans, a nematode worm widely used for genetic experiments. The worms became paralyzed within approximately 10 days. The challenge was to find a way of saving them from certain death. Fragile X syndrome is the most common inherited intellectual disability and the greatest single genetic contributor to autism. Unlocking the mechanisms underlying fragile X syndrome could reveal significant new information about about the brain. In a new study, published online on June, 4, 2015 in the journal Cell Reports, researchers from the University of Wisconsin-Madison’s Waisman Center and Department of Neuroscience show that two proteins implicated in fragile X syndrome play a crucial role in the proper development of neurons in mice. They also show that while the two proteins act through distinct mechanisms in the formation of new neurons, they also share some duties. 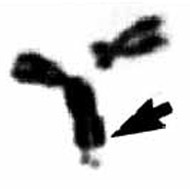 The Cell Reports article is titled “Fragile X Proteins FMRP and FXR2P Control Synaptic GluA1 Expression and Neuronal Maturation via Distinct Mechanisms.” “This is the first demonstration of the additive function of fragile X proteins in neuronal development,” says study corresponding author and Waisman Center and Department of Neuroscience Professor Xinyu Zhao. Relatively little is known about the underlying mechanisms that lead to the cognitive and learning deficits in fragile X syndrome, Dr. Zhao says, making it difficult to devise effective therapies. She studies the two fragile X proteins, FMRP (fragile X mental retardation protein) and FXR2P (the autosomal paralog of FMRP), because doing so could yield new information that might ultimately lead to effective treatment for fragile X syndrome, as well as for other disorders marked by defects in neuronal development, such as autism and schizophrenia. For instance, while FXR2P has been shown to be important in autism, the function of the protein and its contribution to fragile X syndrome has been unclear, Dr. Zhao says. New findings reported by plant molecular biologists at the University of Massachusett-Amherst are deepening scientists' views of a cell surface regulator, FERONIA receptor kinase from the model plant Arabidopsis, once thought to be involved only in reproduction, but in fact required throughout plant growth, development, and in surviving environmental challenges. Because FERONIA is a member of a considerably larger receptor family whose functions were mostly unknown, the researchers say new understanding of how FERONIA functions may open many research avenues, not only in basic plant biology, but in new methods of improving plant growth, especially in plants under stress, and improving seed yields and crop production. Dr. Alice Cheung, Dr. Hen-Ming Wu, and colleagues at UMass-Amherst, who have a long-standing interest in how male and female plant cells interact to achieve fertilization, report online on June 8, 2015 in the open-access journal eLife that for FERONIA to function, it requires collaboration with two other proteins, a glycosylphosphatidylinositol (GPI)-anchored protein called LORELEI, and its relative LLG1. Like receptor kinases, GPI-anchored proteins are known to be critical for cell signaling, but how they function is still mysterious. The Cheung and Wu group show that LORELEI and LLG1 act as chaperones to bring FERONIA to the cell membrane where they also act as its co-receptors, assisting its many biological roles from early plant development to fertilization. This newly discovered receptor kinase and GPI-anchored protein partnership is an exciting advance, Dr.
Columbia University scientists have developed a computational method to investigate the relationship between birth month and disease risk. The researchers used this algorithm to examine New York City medical databases and found 55 diseases that correlated with the season of birth. Overall, the study indicated people born in May had the lowest disease risk, and those born in October the highest. The study was published online on June 3, 2015 in the Journal of American Medical Informatics Association. The article is titled “"Birth Month Affects Lifetime Disease Risk: A Phenome-Wide Method." "This data could help scientists uncover new disease risk factors," said study senior author Nicholas Tatonetti, Ph.D., an Assistant Professor of Biomedical Informatics at Columbia University Medical Center (CUMC) and Columbia's Data Science Institute. The researchers plan to replicate their study with data from several other locations in the U.S. and abroad to see how results vary with the change of seasons and environmental factors in those places. By identifying what's causing disease disparities by birth month, the researchers hope to determine how they might close the gap. Earlier research on individual diseases such as ADHD and asthma suggested a connection between birth season and incidence, but no large-scale studies had been undertaken. This motivated Columbia's scientists to compare 1,688 diseases against the birth dates and medical histories of 1.7 million patients treated at NewYork-Presbyterian Hospital/CUMC between 1985 and 2013. The study ruled out more than 1,600 associations and confirmed 39 links previously reported in the medical literature. The researchers also uncovered 16 new associations, including nine types of heart disease, the leading cause of death in the United States. Clostridium difficile is a dangerous intestinal bacterium that can cause severe diarrhoea and life-threatening intestinal infections after long-term treatment with antibiotics. The pharmacologists and toxicologists Professor Dr. Klaus Aktories and Dr. Panagiotis Papatheodorou from the University of Freiburg in Germany have identified the molecular docking site that is responsible for the C. difficile toxin's being able to bind to its receptor on the membrane of the intestinal epithelium. This docking site functions like an elevator, transporting the toxins into the cell's interior. By binding to the surface receptor, the toxins are able to overcome the cell membrane. Once inside the cell, C. difficile exerts its full lethal effect. "Bacteria are becoming increasingly resistant to antibiotics. That's why new types of therapy that aren't based primarily on bacteria are necessary," Dr. Aktories said. "Our goal in the future should be to reduce the toxicological potential of toxins as well," he added. The team of researchers published its results in the May 29, 2015 issue of the Journal of Biological Chemistry. The JBC article is titled “Interaction of the Clostridium difficile Binary Toxin CDT and Its Host Cell Receptor, Lipolysis-Stimulated Lipoprotein Receptor (LSR).” The intestinal pathogen C. difficile is most commonly found in hospitals and is often acquired by older people and people with weakened immune systems. In Western countries, infections with so-called hypervirulent strains of C. difficile are rapidly increasing and are much more dangerous and more difficult to treat. The pathology of C. difficile infections is primarily triggered by two toxins released by the pathogen, which then damage the intestinal epithelium. 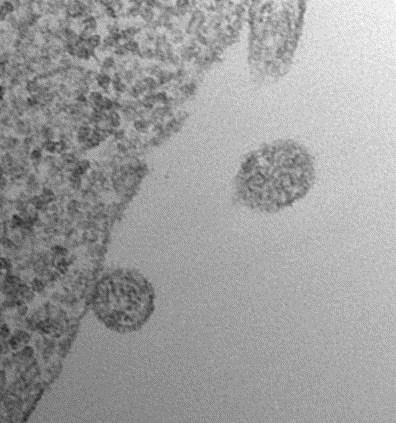 Particularly dangerous hypervirulent strains produce a third toxin, C. difficile transferase (CDT). An old story says that crows have the ability to count. Three hunters go into a blind situated near a field where watchful crows roam. They wait, but the crows refuse to move into shooting range. One hunter leaves the blind, but the crows won’t appear. The second hunter leaves the blind, but the crows still won’t budge. Only when the third hunter leaves, the crows realize that the coast is clear and resume their normal feeding activity. Dr. Helen Ditz and Professor Andreas Nieder of the University of Tübingen in Germany have found the neuronal basis of this numerical ability in crows. They trained crows to discriminate groups of dots. During performance, the team recorded the responses of individual neurons in an integrative area of the crow endbrain. This area also receives inputs from the visual system. The neurons ignore the dots' size, shape, and arrangement and only extract their number. Each cell's response peaks at its respective preferred number. The study, which was published online on June 8, 2015 in PNAS, provides valuable insights into the biological roots of counting capabilities. “When a crow looks at three dots, grains, or hunters, single neurons recognize the groups’ ‘threeness’“ says Dr. Ditz. “This discovery shows that the ability to deal with abstract numerical concepts can be traced back to individual nerve cells in corvids.” The PNAS article is titled “Neurons Selective to the Number of Visual Items in the Corvid Songbird Endbrain.” What makes this finding even more interesting is that a long evolutionary history separates us from birds. As a consequence, the brains of crows and humans are designed very differently. “Surprisingly, we find the very same representation for numbers as we have previously discovered in the primate cortex,” Professor Nieder says. Exosome Diagnostics, Inc., a developer of revolutionary, biofluid-based molecular diagnostics, on June 2, 2015 announced data demonstrating the ability of its plasma-based liquid biopsy panel for solid tumors, which co-isolates and analyzes exosomal RNA (exoRNA) and cell-free DNA (cfDNA), to provide robust, highly sensitive detection of actionable mutations in plasma across multiple cancers. The company announced additional data showing that its proprietary exoRNA plus cfDNA platform also enabled plasma-based longitudinal monitoring of BRAF mutant melanoma, and demonstrated the ability to detect early disease progression multiple months prior to clinical evidence of the changes. Exosome Diagnostics is developing innovative plasma- and urine-based liquid biopsies that analyze exoRNA for biomarkers and can simultaneously isolate and analyze cfDNA to enhance detection of rare mutations. The solid tumor liquid biopsy panel and BRAF data were presented in poster sessions at the 2015 American Society of Clinical Oncology (ASCO) Annual Meeting, that took place May 29 – June 2 in Chicago, Illinois. Based on these and earlier data, Exosome Diagnostics plans to commercialize its solid tumor panel liquid biopsy as a laboratory-developed test in the company’s certified CLIA laboratory in 2015. The test, which is performed on simple blood samples, and covers 26 genes and 1000 associated mutations in the most significant cancer pathways, including EGFR/MAPK and PI3K, will initially be made available to pharmaceutical companies as a clinical development tool. “These findings further validate our unique, exoRNA-based liquid biopsy approach, and the potential clinical significance of analyzing exoRNA to reveal molecular insights about cancer,” said Vince O’Neill, M.D., Chief Medical Officer of Exosome Diagnostics. 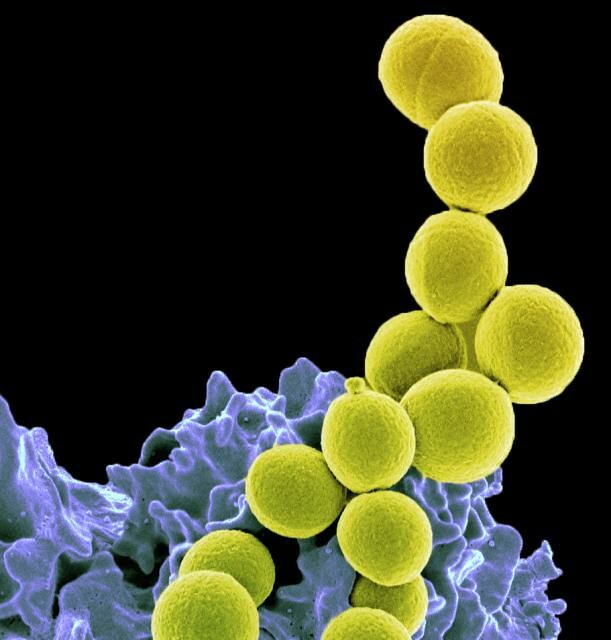 Staphylococcus aureus, a bacterium better known as Staph, is a common inhabitant of the human nose, as well as of the skin, and people who carry it are at increased risk for dangerous Staph infections. However, it may be possible to exclude these unwelcome guests from the nose using other more benign bacteria, according to a new study led by scientists representing the Translational Genomics Research Institute (TGen) in Arizona, the Statens Serum Institut in Denmark, and Milken Institute School of Public Health (SPH) at the George Washington University. The study, published online on June 5, 2015 in an open-access article in the AAAS journal Science Advances, suggests that a person's environment is more important than their genes in determining the bacteria that inhabit their noses. The study also suggests that some common nasal bacteria may prevent Staph colonization. "This study is important because it suggests that the bacteria in the nose are not defined by our genes and that we may be able to introduce good bacteria to knock out bad bugs like Staph," said Lance B. Price, Ph.D., the Director of TGen's Center for Microbiomics and Human Health and a Professor of Environmental and Occupational Health at the Milken Institute SPH. "Using probiotics to promote gut health has become common in our culture. Now, we're looking to use these same strategies to prevent the spread of superbugs." The new Science Advances article is titled “Staphylococcus aureus and the Ecology of the Nasal Microbiome.” The multi-center research team looked at data taken from 46 identical twins and 43 fraternal twins in the Danish Twin Registry, one of the oldest registries of twins in the world. "We showed that there is no genetically inherent cause for specific bacteria in the nasal microbiome," said senior author Dr. Paal Skytt Andersen. Dr.
From how people test their glucose levels to how long they can expect to live, almost everything has changed over the past 50 years for Americans with diabetes. A special symposium, held during the American Diabetes Association's (ADA’s) 75th Scientific Sessions taking place June 5-June 9, 2015 in Boston, featured a look back at what physicians and researchers have learned and how the lives of patients have changed during the past five decades. "There are things that have happened over the past 50 years that clearly make life a lot better for people," said Fred Whitehouse, M.D., Division Head Emeritus at the Henry Ford Health System in Detroit, who has been treating people with diabetes for just as long. For example, when Dr. Whitehouse first started seeing patients the only option for the treatment of type 1 diabetes was to inject animal insulin, which came from cows or pigs and sometimes caused adverse reactions in people. Today, human insulin produced by microorganisms is used, an important difference, because not only are there fewer adverse reactions, there's no fear of running out of it, he said. What's more, there are now long- and rapid-acting insulins and a variety of delivery systems, including insulin pumps, which improve accuracy and comfort while tightening blood glucose control and reducing hypoglycemia. The way glucose levels are tested has also changed dramatically, said Dr. Whitehouse. Whereas once the only way to assess diabetes control was by testing for the presence of sugar in a person's urine, today there are numerous, far more accurate ways to test blood glucose levels, including the non-invasive A1C, which measures average blood glucose levels over a three-month period. "This gives us a nice marker for showing whether a person is on the right road or not," Dr.
Biochemists from Trinity College Dublin, together with colleagues, have devised a new technique that will make the difficult, but critical, job of blueprinting certain proteins considerably faster, cheaper, and easier. The breakthrough will likely make a big splash in the field of drug discovery and development, where precise protein structure blueprints can help researchers understand how individual proteins work. Critically, these blueprints can show weaknesses that allow drug developers to draw up specific battle plans in the fight against diseases and infections. Professor of Membrane Structural and Functional Biology at Trinity, Dr. Martin Caffrey, is the senior author of the research, which has just been published in the international peer-reviewed journal Acta Crystallographica D. Dr. Caffrey said: "This is a truly exciting development. We have demonstrated the method on a variety of cell membrane proteins, some of which act as transporters. It will work with existing equipment at a host of facilities worldwide, and it is very simple to implement." Over 50% of drugs on the market target cell membrane proteins, which are vital for the everyday functioning of complex cellular processes. These proteins act as transporters to ensure that specific molecules enter and leave our cells, as signal interpreters important in decoding messages and initiating responses, and as agents that speed up appropriate responses. The major challenge facing researchers is the production of crystals of large membrane proteins, which are used to determine the precise 3-D structural blueprints. That challenge has now been lessened thanks to the Trinity biochemists' advance - the in meso in situ serial crystallography (IMISX) method.